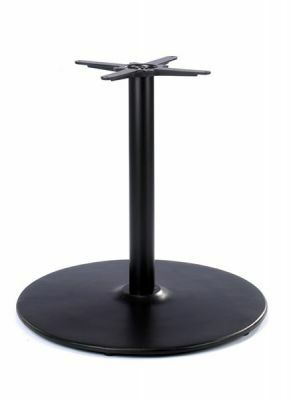 Dining table bases with an extra large circular base in a durable powder coated Black finish. Works with tabletops up to a maximum size of 1500mm circular or 1200mm square. Available from stock. 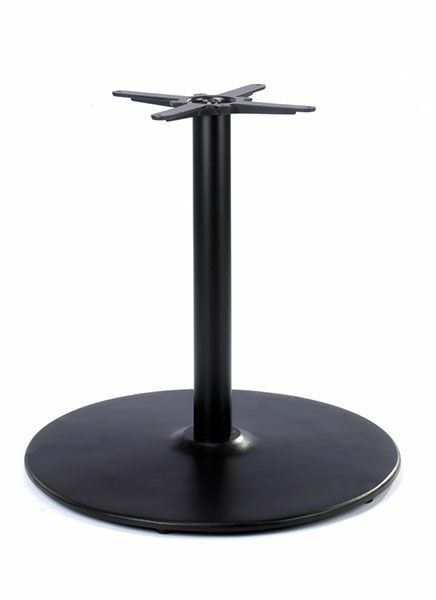 These extra large café table bases can be used with large circular or square café table tops. They are manufactured in cast iron and finished in black EPC paint for extra strength and durability.